Airports in Greece noticed a 10 per cent increase in traffic for the first nine months of 2018 when compared to the same time period of last year. More specifically, according to the Greek National Statistics Service, 53,048,295 people landed in one of the Greek airports from January to September of 2018, in comparison to the 48,213,185 that did the same during January to September of 2017. That means that over 4 million more people decided to visit Greece for one reason or another, which means that Greece broke a new record in inbound travellers. There was also a rise to inbound flights – 435,699 were recorded, marking a 9.2 per cent increase. According to the data, the number of people that entered Greece just in September reached 8,590,325, having increased by 10.6 percent from the same month last year, while the total number of flights that arrived in Greek airports amounted to 67,177, while in September of 2017 that same number was recorded at 59,984, which translates to a 12 per cent rise. It is worth noting that arrivals from abroad climbed to 3,198,349, showing an increase of 10.8 per cent to September of 2017, while the airports that had the most traffic are the ones in Athens, Heraklion, Rhodes, Salonika and Corfu. 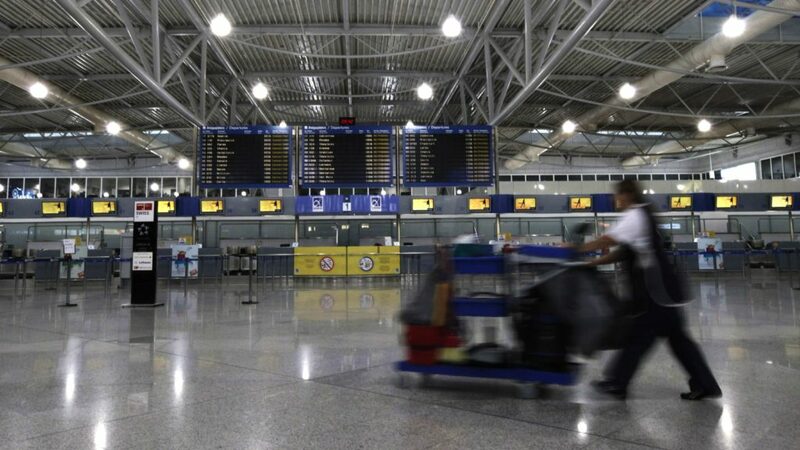 More specifically, the Athens airport had 2,551,617 passengers, the airport in Heraklion welcomed 1,267,310 people, the Rhodes airport had 908,085 travellers, Salonica recorded 745,693 people and Corfu 564,999. Meanwhile, the airports in Sitia, Naxos and Milos showed the highest increase rate when compared to the same time period of last year, as 55,243 people used the airport in Sitia (a 110.6 per cent increase), 69,667 passed by Milos (70.6 per cent rise) and 74,595 people went by Naxos (58.1 per cent).